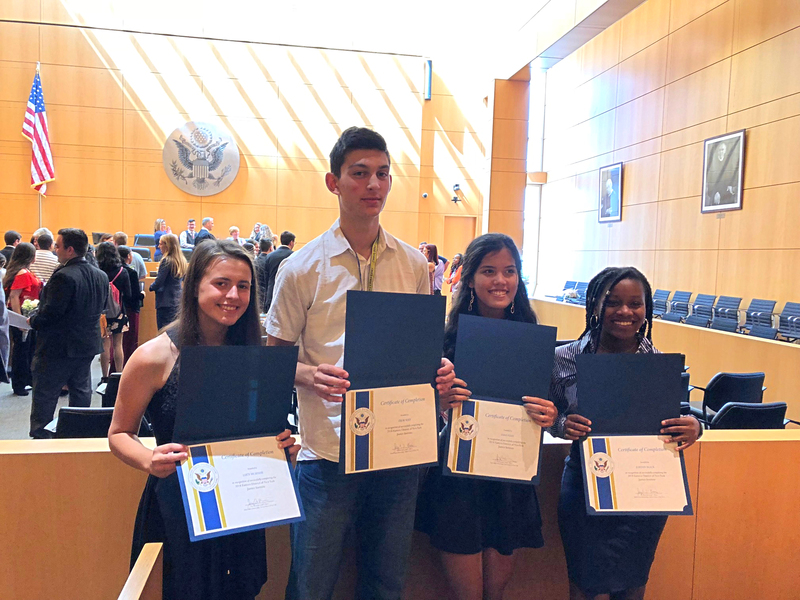 Rising 10th graders Lucy McShane, Zisis Blades, Sarah Yuan, and Jordan Black attended the 3rd Annual EDNY Justice Institute, a special program where students develop their knowledge and experience with legal procedures. They were nominated for this special opportunity by their history teacher, Emmie Yaeger. The Justice Institute took place from July 9 – 13 in Central Islip at the U.S. District Court for the Eastern District of New York. Host partners include the Eastern District of New York Chapter of the Federal Bar Association (“FBA”), the Federal Litigation Section of the FBA and Touro College Jacob D. Fuchsberg Law Center. This week-long, civics education program launched in 2016 and led by U.S. District Judge Joseph Bianco, was designed to introduce incoming 10th graders to the workings of the federal courts and the criminal justice system, and to promote an enlightened and responsible citizenry. Participating students learned about the legal system and developed advocacy skills in a courthouse setting. The keynote speaker this year was internment survivor Mitsue Salador, who shared her experience as a Japanese-American interned by the government during World War II. During the course of the week, the participants heard presentations from federal judges, FBI agents, a U.S. Secret Service Agent, an ATF Special Agent, Deputy U.S. Marshals, federal prosecutors, and criminal defense lawyers about their respective roles within the federal court system. They also observed federal court proceedings and learned basic advocacy skills from experienced lawyers. 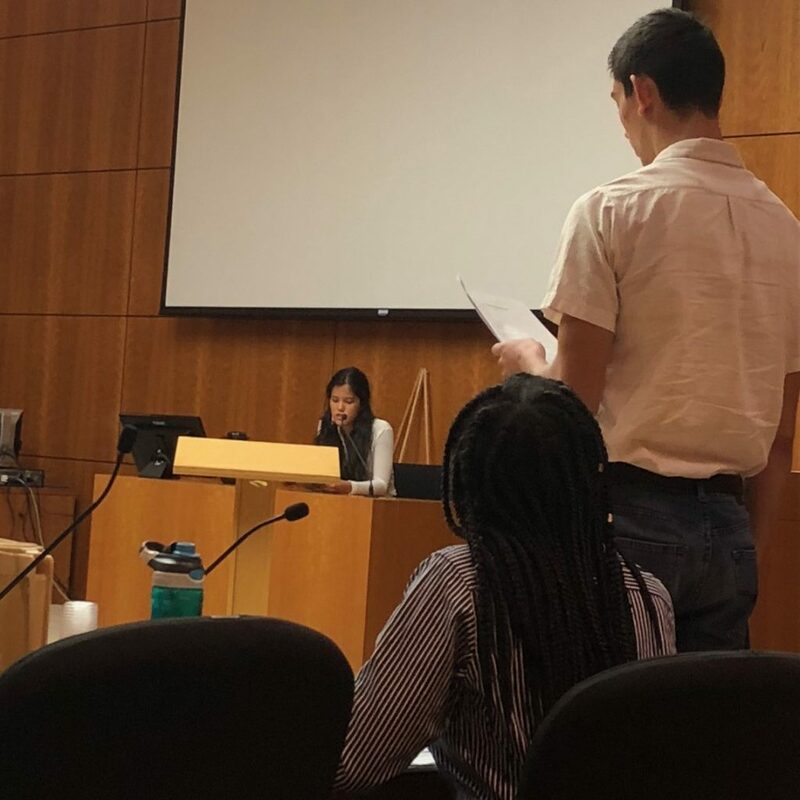 At the end of the week they put their newfound skills to the test in a special mock trial competition overseen by current law students. This the second time Waldorf students were chosen to take part in this incredible program. Read about the four sophomores who participated in the programs pilot year in 2016 here. Congratulations to Lucy, Zisis, Sarah, and Jordan for taking time out of their summer vacation to take advantage of this amazing opportunity!